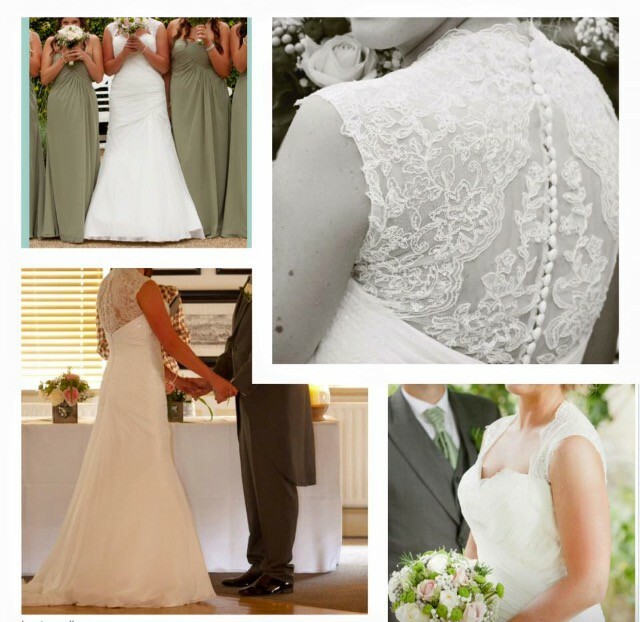 I’m really sad to be selling my stunning wedding dress, but I have just given birth to our first baby and I'd love to spend the money from the dress on something special for him and let somebody else have the pleasure of wearing it on their special day. 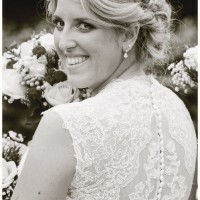 It is a beautiful vintage style Ivory ‘Opulence’ chiffon and lace wedding dress in size 14. The dress has had alterations to fit me and I was a size 12 on my wedding day. The dress has a stunning neckline and a pretty lace back which is buttoned to the bottom of the back, it has a soft flowing train and is a fishtail shape from the hips. I am 5’8 and wore 4 inch heels on my wedding day so the dress has plenty of scope for alterations. The dress has been professionally dry cleaned however there is some slight markings on the bottom right of the dress, not visible unless you looked very closely. There was also a slight tear on the bottom right of the dress which has been repaired. I have posted pictures showing the repair and marks for reference. If someone shorter were to purchase the dress alterations could easily eliminate these.